This unique healing is one of a kind because it has been developed through Psychic Medium, Alice Terry - channeled to her by her Healing Guides. 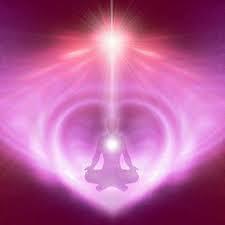 Soul Alignment is beneficial to absolutely everyone and has an additional benefit, specifically for healers. How often do you ‘give, give, give’ and never have the time or the inclination to receive. How much of other peoples ‘stuff’ do you unwittingly take on and take home with you. This ‘hands on’ healing is a realignment, a balancing and a reminder of the fundamentals that make you, YOU. This healing realigns your soul back within your physical body and energizes your chakras. Past trauma that is held in or attached to your body is released as Alice gently connects to your loved ones and guides as she works. This is truly a healing that has to be experienced to be believed. All sessions are recorded so you can just relax and maximise the benefits of your Soul Alignment. With a beautiful blend of clairvoyance, crystal healing, sacred space healing and reiki intention this Soul Alignment Healing will leave you in no doubt where your journey is headed and will leave you in a state of euphoria. Each session is an energy exchange of $275.00, lasts an hour and a half, you receive a CD recording of the experience to enjoy at your leisure PLUS a feeling of complete euphoria. Give yourself a break and treat yourself to some self indulgence and real soul healing.